I bought books in London. We all knew I was going to buy books in London. No matter how much I insisted that this was a vacation for the kids it was obvious that books were going to be purchased. 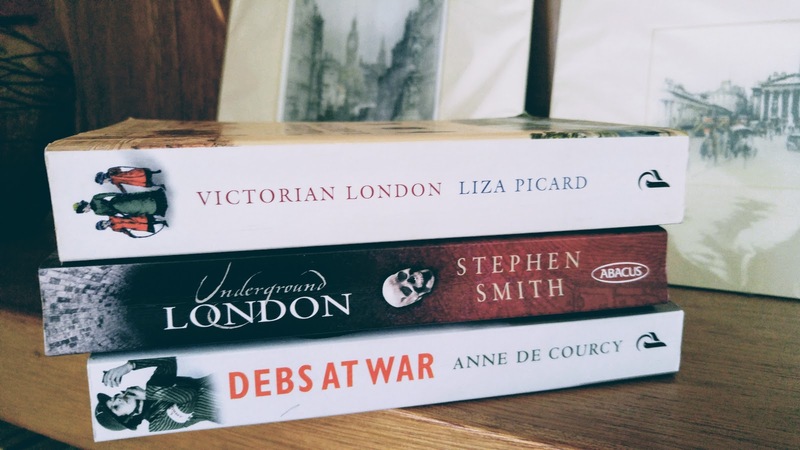 After all, what is a trip to London for if you don't return with your suitcase crammed full of books? And tote bags. I seem to have developed a tote bag addiction. I didn't have the time to wander through bookstores for hours at a time so my book shopping was much more focused than usual. I went to a few specific bookstores and if I saw something interesting I bought it. My first and most important stop was Persephone Books. It is not a trip to London if I don't visit this gorgeous little bookshop. I went in thinking I knew exactly what I wanted and came out with three totally different books. 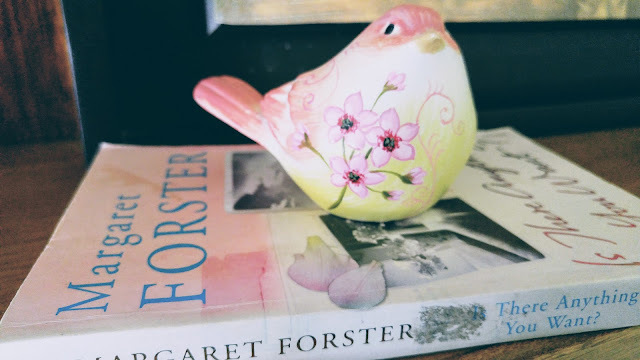 I bought The Persephone Book of Short Stories, The New House by Lettice Cooper, and The Crowded Street by Winifred Holtby. 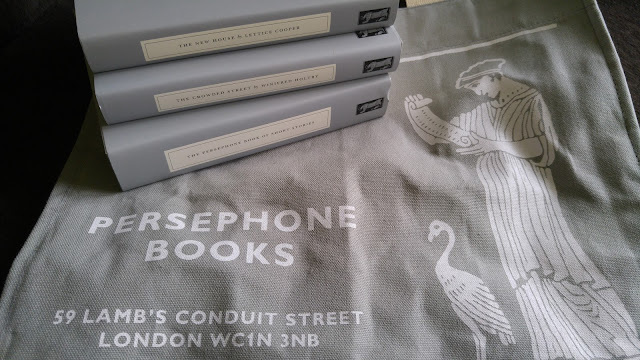 And a tote bag because I have always wanted the Persephone tote bag and somehow have never bought it. It makes me happy but I am almost afraid to use it because I know I will get it dirty. Right now it is hanging on the mirror in my bedroom. Maybe I should decorate my whole bedroom around it or is that a little over the top? I also went to the massive Waterstones in Piccadilly. It was actually slightly overwhelming. So many floors. So many books. So many choices. 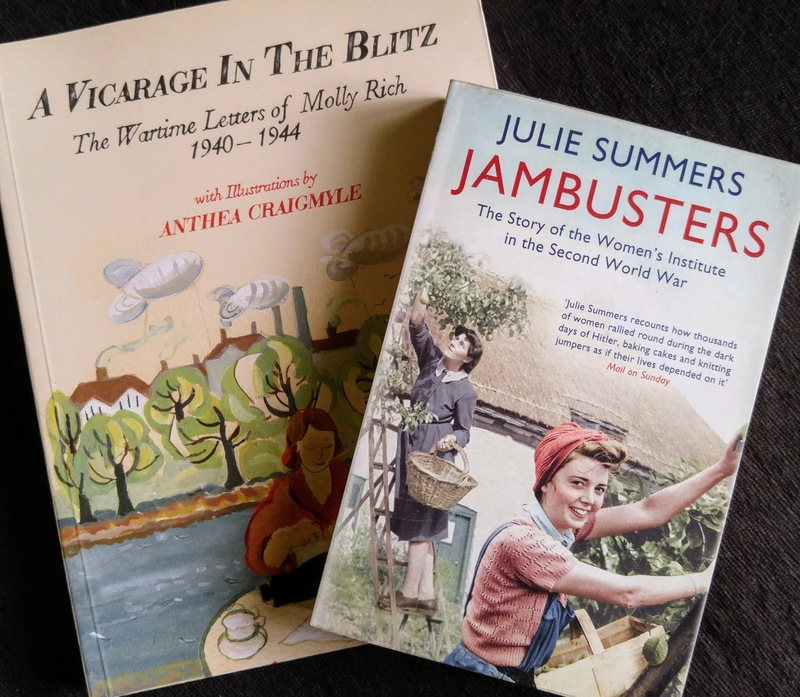 I bought A Vicarage In The Blitz, The Wartime Letters of Molly Rich 1940-1944. I also bought Jambusters by Julie Summers. It is a book I keep intending to buy and just never do. When I couldn't decide what else to get it seemed safe. I also bought a tote bag. 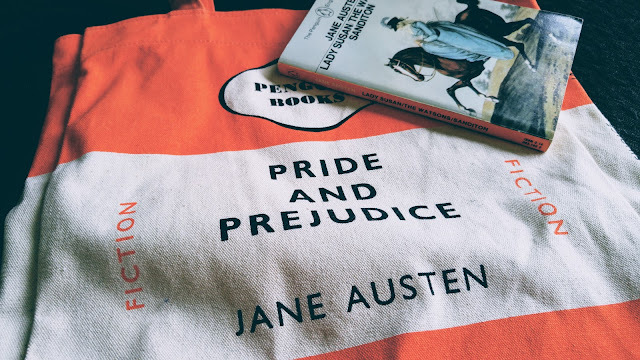 But it was a Penguin bag of Pride and Prejudice and we all know that was never going to be left behind. 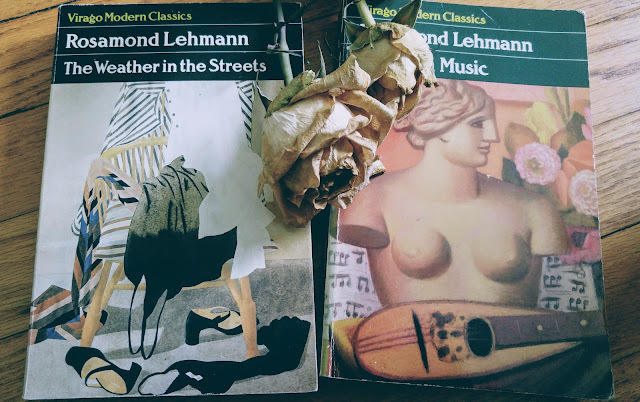 The rest of my purchases were bought at the Southbank Book Market and at an Oxfam bookshop in Greenwich. I love the Oxfam bookshops and wish I had time to search out more of them. You never know what gems you will stumble upon. 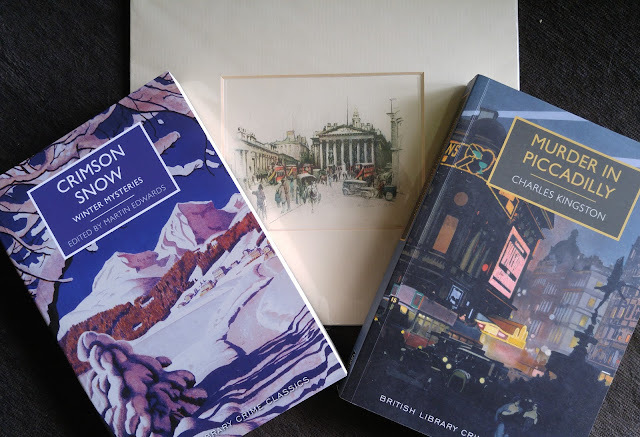 I was particularly happy to find the British Library Crime Classics. Someone on Instagram told me that the British Library sold posters of some of the covers. And tote bags. That is dangerous knowledge. I was also pleased to find two Virago Modern Classics. Underground London was purchased because my son thought it looked interesting but I agree with him and will read it as well. My daughter purchased six Famous Five books that are not pictured here. She found them at the Oxfam bookshop and the bookseller was thrilled to see how excited Celia was about finding them. I was pleased with how many books I came home with especially considering how little time I devoted to book shopping. Now I am dreaming of a trip to explore the bookshops in York or Edinburgh. One day. That sounds very frustrating. I hope they show up soon. What did you buy? L also like to visit great bookstores, both large and small, when I visit places. I can only imagine how much enjoyment I would get out of The London Shops. Hopefully I will get to visit them someday. It looks as if you picked up some great books too. Have fun reading them! I hope you do get to go to London some day. The bookshops are great. I always look for bookshops when we travel to a new place. It's a pity that there aren't as many around as there used to be. Wow this is amazing! I love wandering into bookstores during my travels and taking home a book or two. My husband enjoys it too, and he always looks up which bookstores we should go to. I also have a book tote addiction and have 3 book-related tote bags that I use whenever I'm going to the library or bookstore! Book shopping while traveling is the best. Thankfully, my husband and kids like books too so they don't mind stopping at bookstores. I think I have more tote bags than any one person really needs but I can't seem to stop buying them. My goodness, that store is gorgeous! I would LOVE to go to London one day, & visit a bookshop. Like the one in 84, Charing Cross Road! I love that book! I think I need to reread it. And if you ever get the chance, go to London. The book shopping is wonderful. Excellent book shopping! I've read Underground London and thought it was fascinating, so I'm sure you (and your son) will enjoy it. That is good to know. I'll move it closer to the top of my teetering pile of books. I love the Oxfam book corners too! So many excellent gems to discover. I'll have to reread "As You Like It". It has been years since I read it. My husband named our daughter. It was his grandmother's name and I really had no choice in the matter! He always said if he ever had a daughter he wanted to name her after his grandmother. I am just glad his grandmother had a pretty name! I hope you are enjoying your trip. Are you going anywhere besides New York? Ooh, lovely photos. Looks like you picked up an excellent haul. Now I know a few shops I will have to visit next time I'm in the city! I went to Charring Cross when I was in high school but don't remember any particular stores I visited except Foyle's. I hope you are able to go again. A high school trip to London must have been a lot of fun. I didn't make it to Foyle's this year. Maybe that means I need to go back. I love Oxfam bookshops too. If you ever do get to Edinburgh - I can help point you in the direction of the bookshops. I absolutely will make it to Edinburgh one of these years. I'll depend on you for bookshop advice!